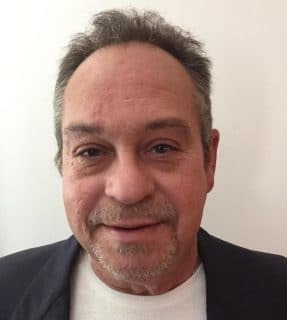 NEW YORK— VitaminEnergy, the healthy, on-the-go energy shot with more Vitamin C than 10 oranges, recently appointed Larry Greenway as their new VP of business development. In his new role, he will be responsible for expanding the VitaminEnergy brand reach to customers in the convenience, drug and grocery classes of trade. Greenway joins VitaminEnergy from Tweaker Energy Drink Company, where he served as the national sales manager. There, he developed and executed strategies for new business development that increased their sales by 6.5 percent in 2018, making Tweaker the fastest growing top five brand last year. Greenway brings to VitaminEnergy over 20 years of experience in various management positions, including management of personnel, retail trade marketing and wholesale trade and brand development with Philip Morris USA / Altria Sales & Distribution. VitaminEnergy is a keto-friendly energy shot that combines the benefits of energy with vitamins and minerals, creating a winning combination! With up to 7 hours of energy, VitaminEnergy is a healthier alternative to traditional energy shots. Every shot of VitaminEnergy is super infused with more Vitamin C than 10 oranges. For more information about VitaminEnergy, please visit us at vitaminenergy.com.